Two new, and distinctly different products are now available in Landmark’s Designer Shelter range. One is predominately timber, and named after an iconic inland town, and the other metal, named after one of Australia’s favourite tourist beaches. The Longreach range and the Burleigh range represent stylish alternatives for creating beautiful open space for public use. The Longreach is an eye-catching cantilevered hardwood shelter, available in four sizes. It can be installed either inground or bolt-down. 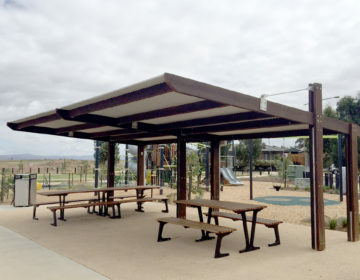 The Burleigh is a metal, skillion roof design with an attractive aluminium screen. 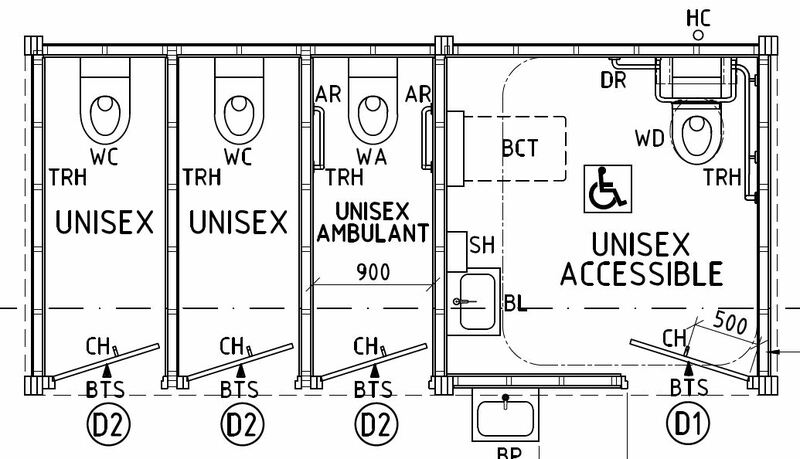 Optional configurations with two shelters, either side-by-side or back-to-back offer larger space for public entertaining. Cutting edge design, ready-made – with Landmark Product’s designer shelter range you can have the best of both worlds. With all the engineering and design work finished, these two new additions, along with the rest of the Designer Series, offer style at an affordable price.